Since it’s founding GVG Foundation has successfully accomplished numerous projects. A few of which are highlighted below. 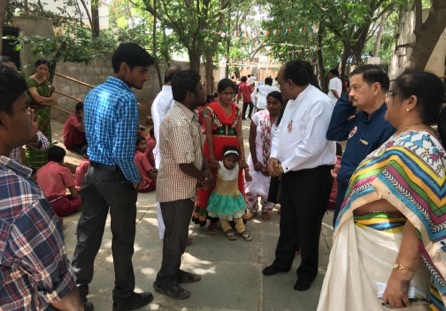 On August 15th, 2016 to mark the 70th anniversary of India’s Independence, GVG Foundation visited Vegesna Foundation’s headquarters in Hyderabad to partake in the festivities organized by the physically challenged children, some of whom we previously sponsored in past years. The day included dance performances, singing, flag hoisting, etc. While there, we met two handicapped and deaf parents with a 2 year old that was recently diagnosed with blood cancer. The child’s parents were struggling with their medical expenses, so GVG Foundation made a donation towards the child’s chemotherapy treatments. 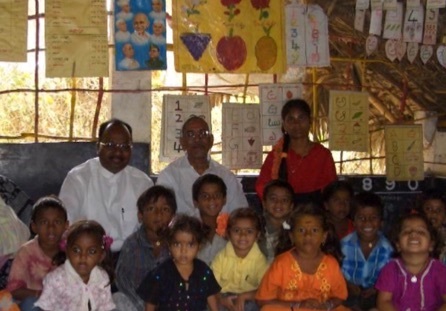 Balabadi is a pre-school program for young children from the ages of 3-6 in the rural areas of Andhra Pradesh that uses the methods of singing, dancing, and playing to begin developing their young minds. The concept was started by Sri PDK Rao through Sodhana Foundation. GVG Foundation sponsored the building of schools in the village of Chipurapalli along with the fees for the children in the area. Most of the children come from below poverty line and used to be left to tend for themselves on the streets while their parents worked in the fields. Now they are given the opportunity to live and learn in a structured environment. One prominent example of the success of Sodhana, is represented by children coming from families of generations of fruit pickers and farmers now working in banks. A quantum leap in their socio-economic status. Through Mr. Vijay Kumar, an IAS (Indian Administrative Services) Officer in charge of rural development for the state of Andhra Pradesh, Raj Goud visited the city of Kurnool to discuss the importance of women’s health and empowerment in rural areas. Currently, women in India face many health challenges and lack the empowerment to take decisions in regards to using reproductive health services. It is important to educate them regardless of the gender, class and caste inequalities that exist. Through health and education, women can take control of their lives and help improve maternal health in the country that will continuously benefit future generations. Our foundation assisted in building a school for young children near Lake Manasarovar. 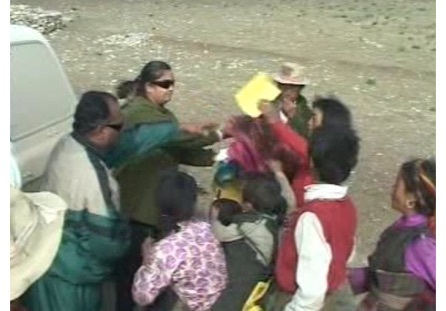 While making the pilgrimage to Mt Kailash and Manasarovar, a freshwater lake with religious significance connected to the Hindu deity Lord Shiva, GVG Foundation passed out various necessities like blankets, medicines, food and stationery supplies to locals that live in the rural areas along the way. The Himalayan terrain of Tibet is very remote and while the population isn’t very dense, the few families that live there have very limited access to outside resources. 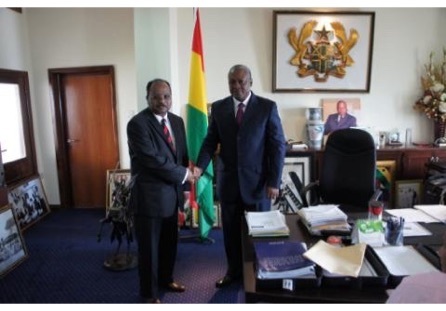 Raj Goud met with Ghanian President Mr. John Mahama and Chief Director at the Ministry of Health of Ghana, Mr. Sylvester Anemone to discuss the improvement of their primary health care centers by introducing newer, efficient and more innovative technology at affordable costs. We also implemented projects to increase access to those in remote areas. While in Ghana, Raj visited a mission home that takes care of underprivileged children by sponsoring a substantial donation for the up-keep and maintenance of their orphanage. 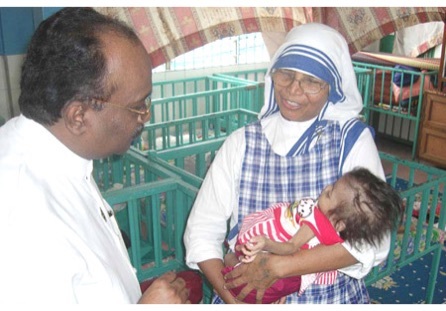 Mother Teresa’s Missionaries of Charity, a non profit organization solely funded by donations, runs an AIDS and Tuberculosis care facility and orphanage outside of Phnom Penh, the capital of Cambodia. The shelter is home to children who have been orphaned as a result of their parents dying of AIDS and women who are living their last days due to being infected by HIV. GVG foundation visited the compounds of the shelter to donate funds to their facility and assist children who call the shelter home. 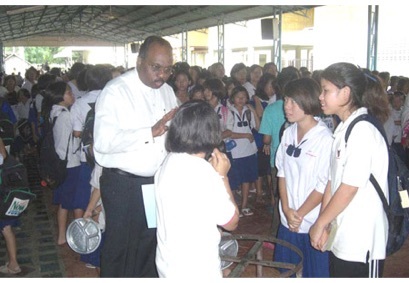 On a visit to Thailand, we were happy to be able to support a charity which takes up the cause of educating, housing, and feeding children. We also visited a nearby monastery and worshiped with monks whose efforts include religious duties as well as the cause of feeding children. 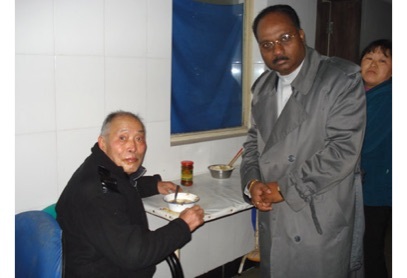 Our foundation visited an elderly home care center in China and was happy to assist in our own small way with the running of the organization. 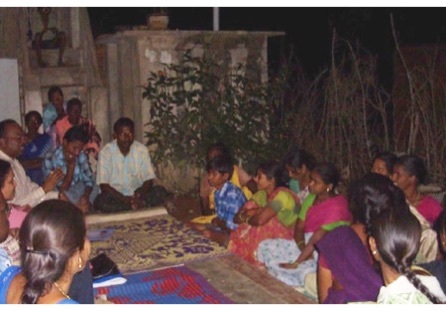 GVG Foundation assisted with a program of the government of Andhra Pradesh, known as Mahila Samaka. The Mahila Samaka provides pre-natal nutritional supplementation for mothers to be. Additionally, due to rampant early age female marriages in certain localities, the organization also promotes timely marriages and sets up councils and speakers to discourage child marriages. 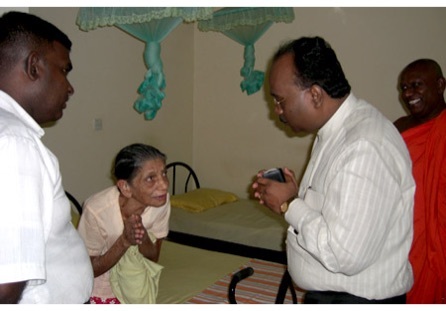 In Sri Lanka we visited with a unique old-age home, which caters to the needs of elderly who were displaced and lost by the 2004 Indian Ocean Tsunami. We were happy to send time with those in the home along with donating resources for their work. The old-age home is run by local Buddhist monks. We were happy to focus our efforts towards the Vegesna Foundation. The Vegesna Foundation, run by Mr. Vamsee Ramaraju, is a well-established organization, which regularly helps those with physical and developmental handicaps. This unique foundation has benefitted the needy for our 25 years. 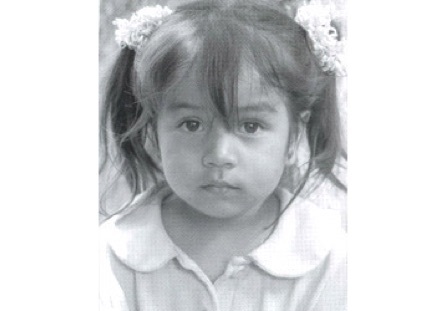 In the early days of our foundation we sponsored several young children in Mexico and Latin America through a Children’s Fund.